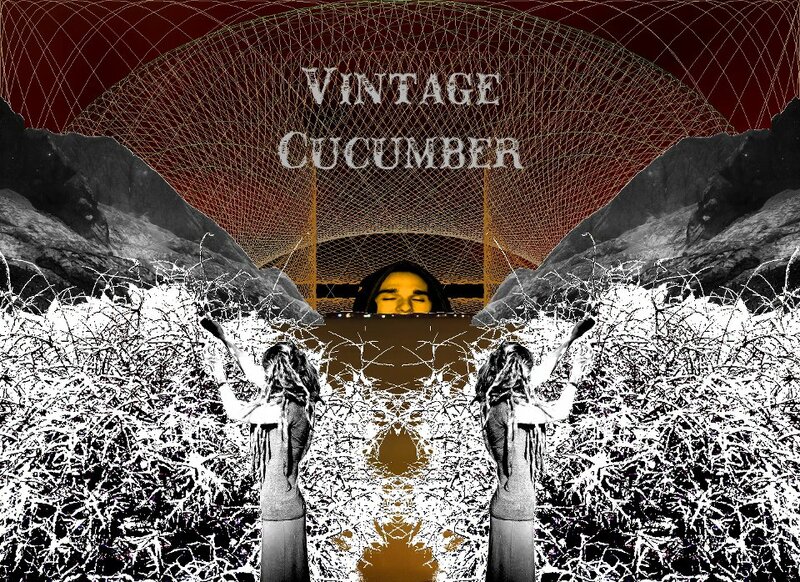 Vintage Cucumber is a solo project from German musician Johannes Schulz, who on this 9-track album plays guitar, bass, drums, synth, effects and voices. After a brief, strange voice collage, Johannes launches into Captain Klötenpötter´s Reise, which is part space-ambience and part beat-enhanced soundscape journey. There are bits of melody, various degrees of rhythmic pattern and rock elements, and Johannes does a good job of blending intensity and brain candy. We then traverse through a few relatively short tracks. One is a noodling guitar pattern, followed by some fun freaky electronics that quickly become a very cool but all too brief tune that blends Can styled rock with motorik beats and Trance. Next we get another short sci-fi electronic piece as voices in German greet the computer world with Good Morning. Farbstoff Gurkenmehl is the next longer, better developed piece. It starts out with a Trance-atmospheric space freakout, which soon transitions to a peacefully lulling and beautifully melodic psychedelic tune, which takes on folk elements and gets increasingly spaced out. Very nice. And Come on, auf zu den asiatischen Gärten features more dreamy drifty soundscapes, Trance and meditative psychedelia. An interesting combination of elements. But the epic stretch-out track of the set is the 20 minute The Hots fette Sonne. It starts off rocking like a blend of Pink Floyd and Can… actually it sounds like Michael Karoli sitting in with Pink Floyd. But Johannes continually shifts gears, injecting the Trance and ambient influences we’ve heard in previous tracks, and there are even some space-jazzy sections. Overall the music psychedeliciously trips along at a steady, drugged pace, which I closed my eyes and grooved along to, but there’s also lots of spaced out effects dominated sections that I enjoyed. Stylistically the album as a whole is a little disjointed, but I’ll give a thumbs up to Johannes for bringing together these disparate styles and influences in intriguing ways. If any of this sparks your interest you can stream the album at the Vintage Cucumber Bandcamp site, and Johannes has set the download for name-your-price.